OK, so it's not the Ritz. 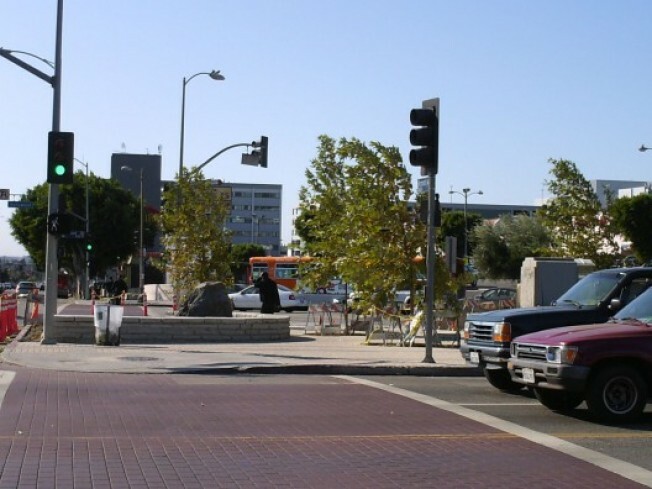 But the redo of the former cab stand at Hollywood Blvd. and Vermont Ave. is an important project for the discerning residents of Los Feliz—it spruces up a less-than-gorgeous five-points (Stripmall, check. Bank with parking lot facing the sidewalk, check. (Albeit delicious) taco stand with attached car wash, check). After a long gestation period, the concrete island finally has some trees. Soon to come: benches and landscaping. The city said this $800,000 project—which began in May—will wrap by October. Think they'll keep their promise?